We exist to develop kingdom workers. We see God's Kingdom growing. The kingdom of God is the complete and total authority of God over all creation, most importantly humanity. This kingdom exists wherever men and women allow God to rule over their individual lives and become obedient to God’s ways as revealed through the person of Jesus Christ, who is God in flesh. These people who work to see the kingdom of God grow are called kingdom workers, who are the people we seek to develop. Cultivate is a special word. It is the word used to describe the work of ripping up hard earth in order to soften it and make it able to accept seeds and grow crops that feed people. It is the word that illustrates what a gardener does with each plant in a garden, giving each particular variety it’s own special mix of light, water, and fertilizer to produce the right kind of growth. It’s a word often used to describe building relationships, establishing beneficial habits, and seeing an idea yield results. It’s a word that eventually leads to fruit. With that in mind, my favorite definition is to promote the growth of something by labor and attention. I believe people, plans, and prayer all should be carefully developed in order to have the qualities necessary to grow God’s kingdom in an effective, or fruitful, way. This isn’t to say that God isn’t able to grow his kingdom without human beings; I believe he will establish his kingdom and reign in the end, no matter what anyone does or says. However, I am saying that if I want to become someone who can serve to advance the kingdom of God, then I must pay careful attention to my personal character and conduct, the specific plans I am carrying out every day, and the way I listen to and receive from God in prayer. In my estimation, growing God’s kingdom is the most important undertaking human beings have in life. The work requires love, faith, humility, forgiveness, perseverance, and joy in the face of persecution, all of which are uncommon to the human experience. Because we as humans are not predisposed to such things, these qualities need to be cultivated within us and the work that we are given to do. Sometimes that involves ripping up hardness in our hearts, so that something new can grow. Other times, it can mean bringing ourselves into the light, so that our insufficiencies can be exposed. In the end, the hard work of successful cultivation is seen in the fruit that comes. Is the fruit of my life able to grow God’s kingdom? Is my life, inspired and yielded to Jesus, able to produce justice for the oppressed, a home for those who can’t find one, and love for the unlovable? If so, then the fruit that comes from the cultivated, rich soil of my life has now begun to blossom in the life of someone else, and God’s kingdom has grown. This then, is why I am so driven to cultivate the lives and plans and prayers of others - to see God be able to produce lovely fruit in the lives of people, fruit that will feed the hungry, give drink to the thirsty, produce clothes for the naked, nourish the stranger, heal the sick, and give new life to all those imprisoned. David-Chad, or DC, is the director of Cultivate. He began working with Cultivate in the summer of 2013 because of his heart for discipleship and men’s ministry, as well as his gift for shepherding and teaching. He has helped Cultivate develop trainings and classes, while also mentoring several young men through one-on-one relationships and men’s small groups. Janine joined Cultivate in 2014, getting involved using her musical gifts and hospitality. Over the years, Janine has become a tremendous mentor and coach, spending time meeting one-on-one with several people. She now is the primary mentor for young women who are beginning to develop Christlike character with Cultivate. Cam is the co-founder of Cultivate, a ministry designed to grow God’s kingdom by developing kingdom workers. He leads Become, a branch of Abide Ministries that helps to start and sustain to new ministries and movements that grow God’s Kingdom. He is also the associate pastor of LifeChurch Auburn Hills. 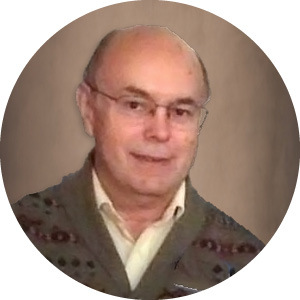 Dale brings his passion for teaching and theology to Cultivate as the advisor for spiritual formation and education. Whether it’s planning and teaching classes for current Cultivate students or answering difficult questions about faith and practice for students, Dale continues to shape the future of new kingdom workers. 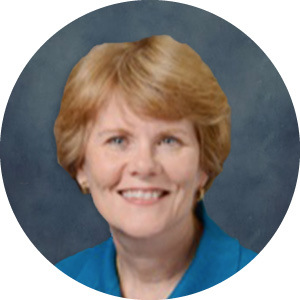 Cathy has spent most of her career in professional development, advising, and human resources. She combines her love for Christ with professional experience to help students uncover their gifts, talents, and path to be a kingdom worker in the workplace. She has been a leadership development coach with Cultivate since 2015. Alexa joined the Cultivate team in 2016, acting as a spiritual mentor to young women as well as coach to students who are interested in connecting with and serving international students. As the connection coordinator for International Oasis, Alexa helps students learn how to serve others in meaningful ways. These three directions were difficult for me. I had always spent the majority of my time pursuing people who thought God was irrelevant, so the idea of strengthening believers was new and uncomfortable. I thrive on starting new things, so the idea of simply learning from and serving existing organizations instead of starting my own was a challenging notion. Finally, recruiting is one of my greatest personal strengths, and to be without it as I went forward was almost unnerving. Each direction required more and more trust in God’s work through me, instead of my work for God. I was stunned. Here was God at work, bringing me one of the sharpest, strongest young Christian leaders I had known to come help, and I hadn’t said a word. At this question, I told her what was coming, and she was stunned as well - it all made sense to her. She jumped on board, and soon, more and more people began meeting us in strange, God-appointed ways. During that first year, we often prayed together in the library, just listening to whatever God wanted to reveal. One day, Alaina brought a vision she had in her personal prayer time - an upside down tree. She told us the story of how in her vision, God had taken a tree out and planted it in the middle of a circle of dying fruit plants and flowering bushes. The soil was dry, hard, and dusty, lacking the nutrients to sustain the fruit plants and bushes. The climate was arid, with a hot son often shining and little rain. The tree’s purpose was to put its roots down very deep into the soil, past the hardened rock all the way to where groundwater was. In this way, the tree would bring groundwater back up to the soil via the taproot, helping establish the soil so that flowers, fruit, and a new garden could thrive. She explained that the tree started to grow in her vision, beautiful, tall, and strong. Everything else was revived as a result of this tree doing its part. Then, God came into the vision. It was the end of time, and God came to the tree and pulled it out of the ground. But instead of inspecting how the beauty of the leaves, branches, and trunk, he instead began to inspect the root system - which was even more well developed than the upper part of the tree. She explained that God was going to judge the quality of this ministry on the roots that were established - or in our context, the Christlike character of the those working to grow God’s Kingdom. This is why we have the upside down tree as our logo. We want to remember always that Cultivate is God’s idea, and he has specific plans for it. He is looking at the quality of the roots as he looks at us - are we bringing nutrients to the soil where we have been planted? Are we helping other ministries or individuals grow and blossom? Are the roots of our character strong and developed to weather a harsh climate? This is our part in God’s Kingdom growing, and we always want to remember. Cultivate is overseen by a multi-generational team from three different organizations. When it comes to developing kingdom workers, we take our work seriously, welcoming several layers of accountability and wisdom. Cultivate is a collaborative effort, directed and overseen by a team that spans three generations. Founded in 2013, the Cultivate Core Team has grown and developed together, meeting weekly to seek God for direction, pray for students, and check on the spiritual and emotional well-being of each other. The Cultivate Core Team is comprised of Cam Underdown, Janine Iyer, Dale Partin, Cathy Smith, and David-Chad Svenson. The Core Team oversees the regular operations of Cultivate, determines who can volunteer, raises funds, and decides how to best lead and guide students in their spiritual journey. Loren Siffring, Ron Daggett, and the Master’s Christian Minsitries board provide spiritual and moral oversight to DC Svenson and the Cultivate team. As a local ministry group (Rochester Hills, MI) with 35+ years of experience, they are available for counsel, accountability, and to settle disputes should they arise. Cultivate brings performance reports before the Master’s Christian Ministries board annually, and Loren and Ron meet with the leadership of Cultivate weekly to develop character. For more information on The Master’s Christian Ministries, please visit their website at www.mcmin.org. DC’s passion for helping others understand the truth about who they are and who God is has led him to work extensively with people in understanding their true identity and refuting the lies they’ve believed by way of the “Root Tree Exercise.” DC also spends time leading men through in depth scripture studies to know Christ more intimately and transform their character to follow him in every way, and to challenge groups of students through his teachings to live in submission to God and to challenge every notion that is not from God. In 2017, he began working with local youth part-time as a part of his ministry by way of teaching, discipleship and compassion. Around this time, God had been moving in his heart towards a men’s discipleship house and in July 2017, he was able to begin renting a house designed for that purpose. From there, the house has grown to have four men living there in a community built around the principles of the early church found in Acts 2 (a focus on God’s word, fellowship, prayer and breaking bread together). The house continues to attract more men who are looking for a place to live near campus that fosters this kind of community and serves as a meeting place for others who do not need a place to live, but want to experience that kind of community. DC is fully supported by donations to fund his position within Cultivate. Learn more, or make a gift. Born and raised in Detroit, Janine found her personal faith in Christ in her mid-teens. She began to voraciously read and study Scripture, one of the key disciplines that has shaped her into who she is today. During college, Janine attended Wayne State, majoring in mechanical engineering while becoming deeply involved with CRU as a worship band member. Janine met her husband Ramesh while working at General Motors, and together they had two daughters, Neena and Reyka. 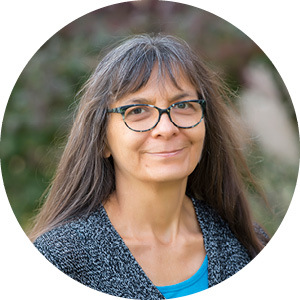 During her children’s school age years, Janine became their primary educator, helping them attain major educational achievements and full ride scholarships for their undergraduate work. During this same time, Janine also battled cancer twice, defeating it both times while continaully growing her faith in Christ and desire to disciple others in their faith. Janine has been instrumental in the development of Cultivate, acting as the primary female mentor and coach to students, core team member, and key volunteer leader for International Oasis, which she helped from its inception. She leads a small group and cancer support group at her home church 2|42 in Brighton, MI in addition to her work with Cultivate. Until age 19, Cam was a vehement atheist who actively preached against Christians until gave his life to Christ between sophomore and junior year while he was a student at Oakland. His full time ministry at Oakland began in 2013, and before that he served as a high school and college minister at Kensington Church as well as web designer and graphic artist. Cam married his beautiful wife Lyndee in 2010, and they have two children. They currently reside in Pontiac. Cam is ordained through the Master’s Christian Ministries, which can be found at www.mcmin.org. Cam is fully supported by donations to fund his the work to which God has called him. Learn more, or make a gift. Raised in a working class neighborhood in Toledo, OH, Dale’s intellect and curiosity stood out from an early age. At 17, he remembers having a significant, pointed desire to know himself and others deeply, which led him to an eventual friendship with a classmate at Carnegie Mellon University in Pittsburgh, PA where he was studying electrical engineering. This friend helped Dale truly understand the good news of Jesus Christ during sophomore year of college, and Dale never looked back in terms of his deep passion to know Jesus’s plan for his life. During graduate school, Dale married his wife Laina before graduating with a Ph.D. in electrical engineering and Master’s in Physics. He went on to work as a research scientist with Delphi, doing significant research in the automotive field. While working, Dale began to study his faith more in depth, and upon his retirement, began to take classes at Michigan Theological Seminary as well as lead adult spiritual formation classes at various churches, including his home church of Stoney Creek Community Church. As Cultivate was in its infancy, Dale’s passion to teach the next generation the ways of Jesus pushed him to become a student at Oakland University through an auditing program for retirees at Oakland University. 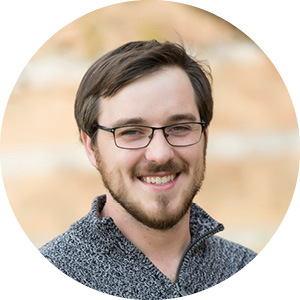 While at Oakland, he joined the Cultivate team in late 2013, teaching bible studies, training student bible teachers, and developing classes like Bible 101, Spiritual Gifts, Hermeneutics, and Meeting Missionaries. Dale and Laina have two sons who have each married, and they also have four grandchildren. They currently reside in Ray Township, MI. Cathy was raised in Detroit, MI, and graduated with both a bachelor’s in business management and master’s in counseling from Oakland University. She leveraged her education to become a human resource executive, professor, and leadership coach in a variety of environments, including county government, Henry Ford Health System, and Oakland University. While Cathy’s resume is extensive, she is far more interested in helping young people develop their resume and career path. 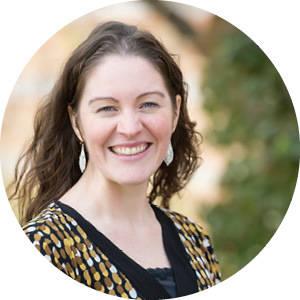 Coming on board the Cultivate team in early 2016, Cathy has led several workshops on Myers-Briggs personality profile, Gallup StrengthsFinder, and how gifts and talents relate to spiritual giftedness. In addition, she spends significant time as a private academic advisor to students within Cultivate, helping them link their academic progress and eventual kingdom work. She is an excellent networker, assisting multiple students procure internships and post-graduation employment specifically in the medical field. Overall, Cathy is the bridge between the the Cultivate character development process and eventual student employment, including keeping up with students once they have graduated and offering support, advice, and further opportunities for growth. Currently, Alexa helps personally mentor three young women on campus in their spiritual journey, as well as providing volunteer and connection opportunties with International Oasis. Cultivate encourages all students to find others to serve, and Alexa’s copious connections with international students form an excellent partnership for Cultivate students to learn to welcome strangers in practical and loving ways. She currently oversees student volunteers as conversation partners, orientation assistants, and airport drivers, amongst other positions. Prior to working with International Oasis, Alexa held positions as an educator and organizational trainer. In 2017, she published her memoir An Unexpected End, an overview of difficulties she has faced and overcome through her relationship with Jesus. What is a kingdom worker? A kingdom worker is a person of Christlike character - obedient to God, ready for any challenge, action-minded, and results-oriented. These are our values. Luke 10 is a critical chapter in understanding what qualities define a kingdom worker. Jesus tells his followers that the harvest is plentiful, and that workers are needed. His commands to these followers help define kingdom workers. Jesus begins by telling them to go into dangerous situations, where they could be rejected, mocked, and ridiculed. This doesn’t stop the kingdom worker. Jesus gave instructions to his workers, and they followed all he gave them. Kingdom workers do what God asks, no matter the cost. For the kingdom worker, it’s all about showing before telling. Jesus asks them to heal the sick, and then state their message. Action gives power to words. In the end, it’s all about the growth of God’s kingdom, nothing else. Kingdom workers focus on the end results, making sure they are hitting the target of the kingdom of God growing in the lives and hearts of individuals.